Poker - The Complete Chip and Card Handling Series Volumes 1-4 (4 DVD Set) in Music is made for Women and Men and comes in n/a. It is marked as and weighs about 2.00 lbs. 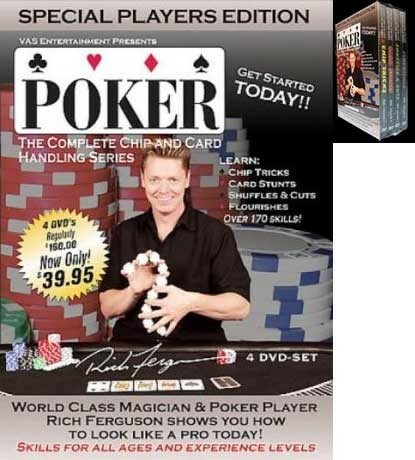 World class magician and poker player Rich Ferguson shows you how to look like a pro today! Skills for all ages and experience levels.